I admire women who have the stamina to spend an hour every day on their hair. I really do. Hair patience is a virtue that I do not possess, so I am awestruck by those who not only tolerate but enjoy the process of meticulously blow-drying, heat-styling, braiding, and adorning their strands. Bravo. I'm the type to prioritize sleeping an extra 30 minutes in the morning over perfecting my hair. (I physically cannot get out of bed before 8:30 a.m.—I think it's genetic.) So, I've had to nail down a morning hair routine that can adequately ready me for my job as a beauty editor and only takes a few minutes. Over several years of trying the best products and styling tips on the market, I've finally honed in on a five-minute hair routine that I absolutely swear by. If you can't stomach spending all morning on your hair, I've got you. These five tips for how to do your hair fast will work on every length and texture! This sounds like a no-brainer. But even under the dirtiest, most desperate circumstances, I commit to making my unwashed hair work every morning. Giving up and hitting the shower would feel like a personal failure. I only wash my hair about once a week, usually on Saturday, when I have plenty of time to move through my intensive routine. This consists of double-cleansing with a clarifying shampoo by Kevin Murphy and a purple shampoo by Drybar. (Yes, despite what you've heard, it is actually a good idea to "rinse and repeat.") I follow up with my favorite Shu Uemura hair remedy mask ($68). Then I pat my hair dry with a microfiber towel, brush through it with a Tangle Teezer ($15), apply a little Kérastase Elixir Ultime ($58), and let my hair air-dry straight. All this so that I can go the next seven days without having to worry about washing my hair. For the time saved, it is so worth it. In the meantime, I rely heavily on the dry shampoo. 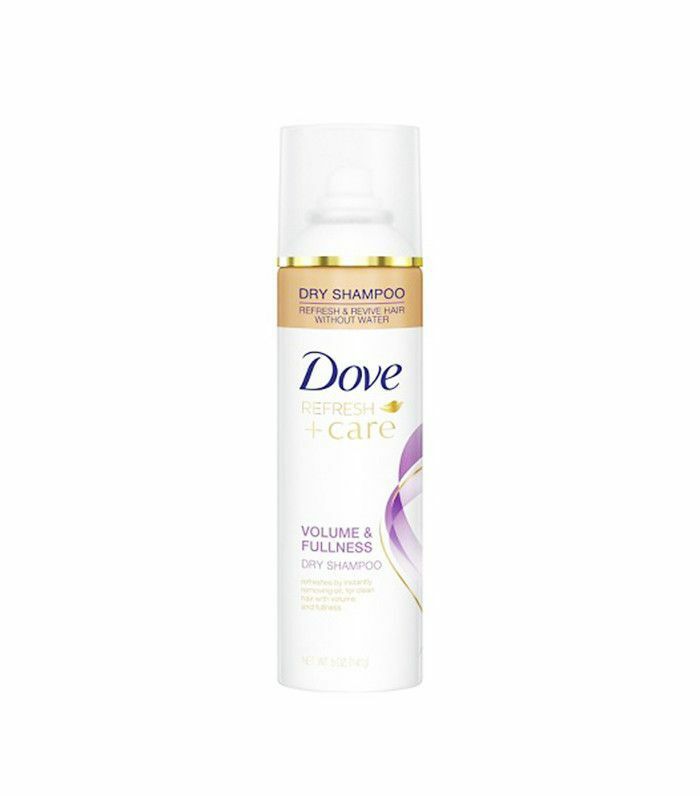 This pick above by Dove is a trusty favorite. I never know what my hair is going to look like in the morning. Sometimes the style I achieved the day before stays perfectly intact. (I like to refer to these as "blessed days.") But other times my hair is completely flat or gnarled and half-covered in drool. On any given day, whatever my hair's truth is, I don't try to change it—that's only going to waste time. If I wake up and my hair is limp and shapeless, I don't attempt to curl or volumize it. Instead, I douse it in Wendy Iles's Finishing Serum ($44) for shine and heat protection, and flatiron it until it's straight and sleek. By contrast, if my hair decides it wants to stick up in all different directions, I use my flatiron to create messy, uneven waves, spritz through with Oribe's Après Beach Wave Spray ($42) for texture, and use Moroccanoil's Molding Cream ($28) just at the ends to create a piece-y bedhead look. After all, the "unstyled" look is most coveted these days. Gently enhancing whatever style and texture you woke up with is the best way to achieve that. As a beauty editor, this might be a controversial statement, but here it goes: I don't know how to properly wield a blow-dryer. I've tried the fanciest, best-reviewed blow-dryers, but I just don't enjoy using them or care to learn how. The same goes for round brushes and curling irons with clamps. What can I say? We all have our strengths, weaknesses, and personal tastes. These aren't mine. Here's the thing, though: What I've learned is that you don't need to learn how to use every hair tool on the market. A much better strategy is to become an expert in one or two. Practice every day with them, get really comfortable with them, and you'll be far less likely to mess up and waste time when you only have two minutes in the morning to make your hair look human. 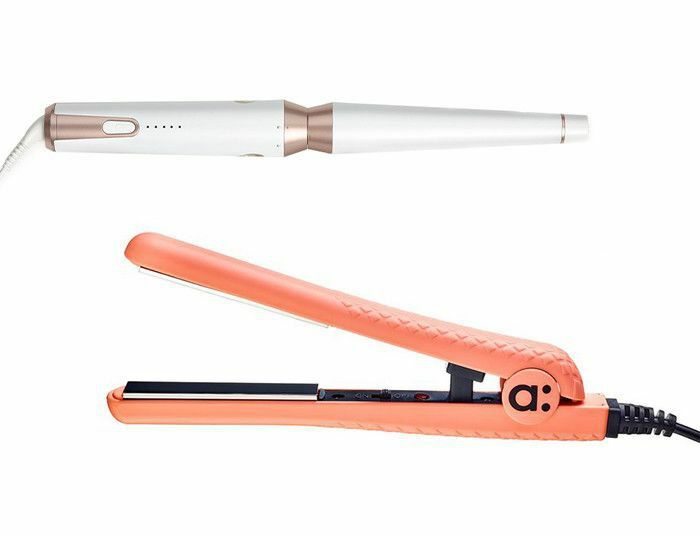 The tapered barrel wand of T3's Whirl Trio ($270) and Amika's Mighty Mini Coral Pink Styler ($29) are my ride-or-die hair tools. I use the flatiron to straighten my hair or create messy, textured waves. I use the tapered wand to create softer, more polished curls. I've used these tools exclusively for a solid year now, and they never surprise or frustrate me. Once you find your go-to tools, you'll be amazed how much time you'll save. Celebrity hairstylist Mark Townsend once showed me that bobby pins aren't just a lifesaver for getting your hair out of sight; you can also use them to trick everyone into thinking you put five times more effort into your hair than you actually did. 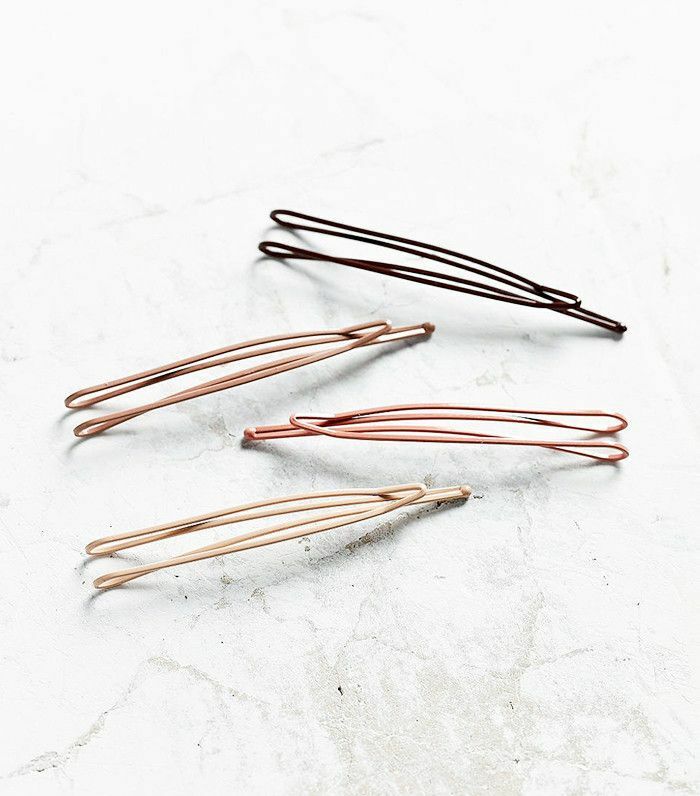 Investing in a tricked-out set of bobby pins will change your life: You can embellish a topknot with them, secure a simple half-braid with them, or simply use them to pin your messy mop out of your face. In my experience, this has a 98% success rate of making your hair look presentable, and, when used appropriately, it has an 83% rate of return in compliments from co-workers. Trust me, this look isn't just for models. I am a fully normal human, and still, every time I slick my hair back—which takes about three minutes, might I add—everyone I interact with loves it. (Here's proof.) I love it too. Because there is no win-win situation like a hairstyle that masks greasy hair like no other, takes zero skill to achieve, and manages to attract tons of praise. When my hair looks utterly hopeless, here's what I do: I brush through it with my Tangle Teezer until it's as smooth as I can get it. Then I create a deep side part. 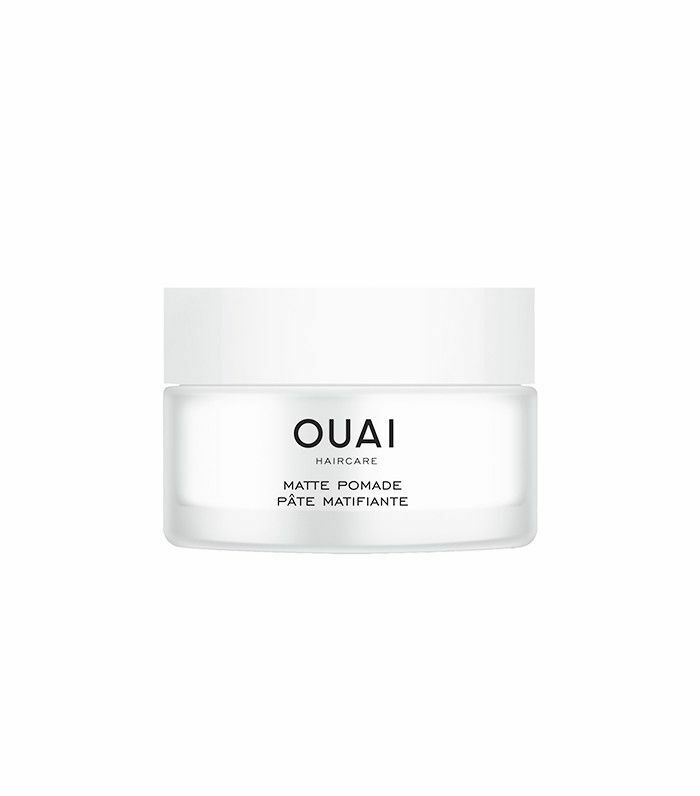 Next, I take a generous handful of Ouai's wonderful Matte Pomade ($24) and slide it all the way through my hair, from root to end, to cement my hair to my head. (If your hair is longer, I'd recommend applying it from root to the nape of the neck). Once my hair is completely covered in pomade, I use that handy Tangle Teezer to brush it into place, until it looks as slick and lacquered as possible. I stick a few bobby pins behind either ear to keep the style locked in and mist all over with R+Co's Vicious Strong Hold Flexible Hairspray ($29). Watch me try to create this look in five minutes or less on Byrdie's Facebook Live below! This story was originally published on October 3, 2016.